After a cardiac event, you know exercise is important. But you also know overdoing it could be dangerous. That’s where INTEGRIS Cardiac Rehabilitation comes in, with a supervised exercise and education program. The road back from a heart attack. It's hard to know how to find a path back to healthy living after a cardiac event – or even just a diagnosis of a cardiac problem. You know exercise is important, but you also know overdoing it could be deadly. That's where Cardiac Rehabilitation at INTEGRIS comes in, with a supervised exercise and education program of progressive conditioning, heart rhythm and rate monitoring and telemetry, plus a plan tailored to your needs. This plan includes evaluations, consultation with a dietitian and group sessions on nutrition, physical activity, cardiac medications, stress management and other health related items. Our goal is to guide you toward wellness and provide you the tools you need to maintain a self-directed home program for an active lifestyle. Check with your insurance carrier to see if cardiac rehab is covered. Tell your physician you want to participate in the program. We can fax the necessary paperwork to your physician. 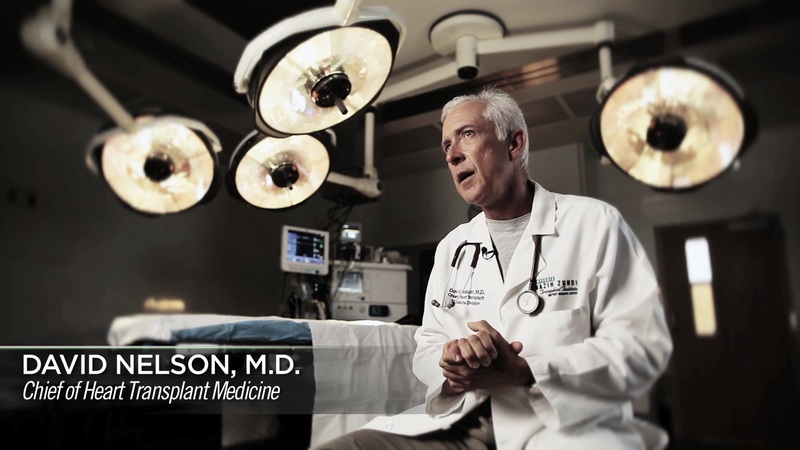 Dr. David Nelson shares his expertise on heart transplants at INTEGRIS.